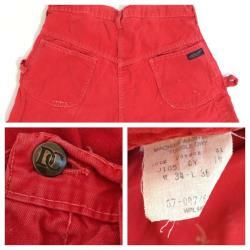 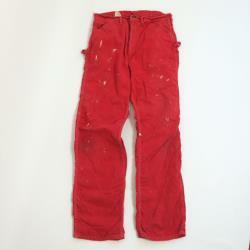 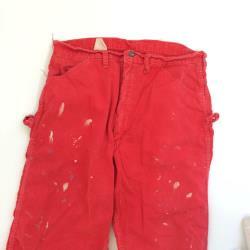 Ooak carpenter pants from the 70's broke-in red canvas original paint spatters throughout. 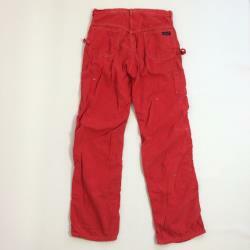 4 pockets, 2 carpenter hooks. 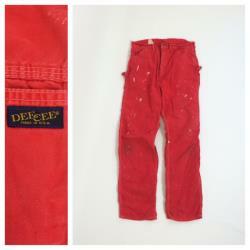 Deecee back patch + brass button.